Jose Mourinho is actually the worst, isn’t he? Does anything ever come out of his mouth which isn’t thinly-veiled self-promotion, fuelled by bitterness, jealousy and nastiness? The man needs to step away from football for a long time, enjoy his tens of millions and stop hating planet earth and the game that made him quite so consistently. His latest soundbite regards Mo Salah, the Egyptian flyer he brought to Chelsea and then sold not long after, having given him very few first-team chances. Mourinho is often criticised for the manner in which he allowed Kevin de Bruyne and Salah, arguably the two best players in the Premier League now, to depart Stamford Bridge – but the tiresome Portuguese is having none of it. “When the club decided to sell him, it was not me,” Mourinho told beIN SPORTS. “I bought him, I didn’t sell him, and my relationship with him was good, is good. “I think that he doesn’t regret that move because everything went well. Everything went well for him and the progression went well for him but, at that moment, he was just a kid with a huge desire to play every week, every minute and we couldn’t give him it. “Lots of things have been told that are not true. People try to identify me with the coach that sold Salah; I am the coach that bought Salah. It’s completely the wrong idea. “I played against Basel in the Champions League. Salah was a kid in Basel. When I play against a certain team, I analyse the team and the players for quite a long time and I fell in love with that kid. I bought the kid. Let’s include some facts to go along with Mourinho’s rhetoric, shall we? Salah was given 13 Premier League appearances, nearly all of which came from the bench, in his two years contracted to the club. He was sold to Roma for roughly £15m. 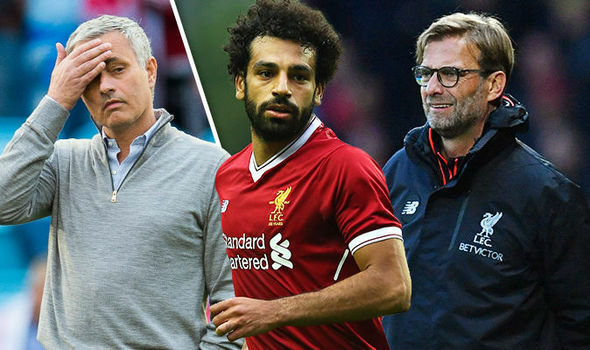 Mourinho has consistently butchered attacking talent over the past four or five years and do not think it’s an accident that Salah found his true level under Jurgen Klopp and not the manager who’s been sacked from his past two jobs in England after spending loads of money and making all the players hate him.